Our colleague Alistair Frame, who is employed on a temporary contract in the English Section, has just successfully completed a BALEAP TEAP Portfolio accreditation to become an Associate Fellow of BALEAP. BALEAP is the global forum for English for Academic Purposes (EAP) professionals. It is a professional organisation which provides accreditation for courses and individuals involved in the delivery of English for Academic Purposes courses. 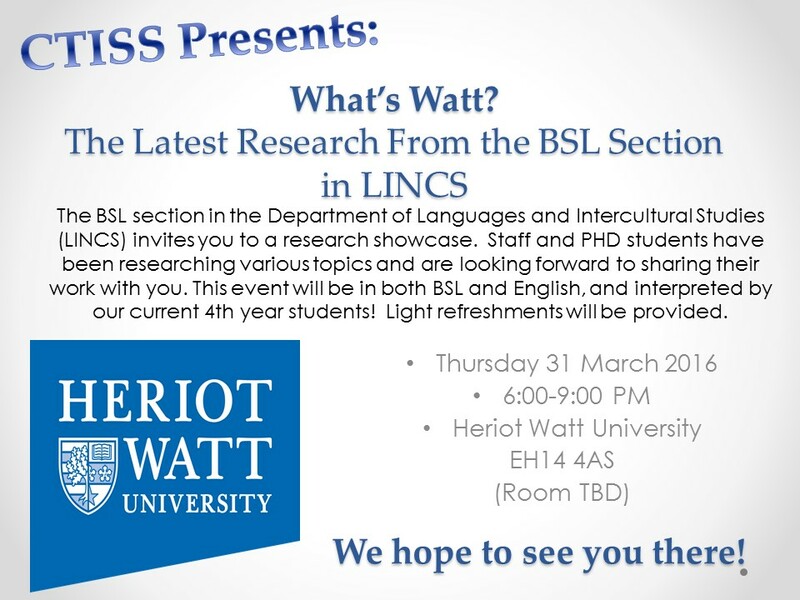 BALEAP accredited the Pre-sessional courses at Heriot-Watt in 2014. The accreditation of individuals is a relatively new development, which involves the EAP teacher in compiling a portfolio of evidence related to the BALEAP Competency Framework for teachers of EAP and writing a personal narrative to link the evidence to the criteria. The award has been mapped to the HEA Professional Standards Framework and several BALEAP Senior Fellows are also now Senior Fellows of the HEA. The first cohort of Senior Fellows, who piloted the scheme, were awarded their accreditation in January 2015 when Olwyn Alexander was successful in becoming a Senior Fellow of BALEAP and TEAP Mentor and Assessor. This award enabled the English Section to offer temporary teachers on the Pre-sessional courses CPD support to begin compiling their portfolios. Alistair’s is the first successful award from that process. This year we are organising a CAT Tools Series as part of our CPD Programmes, starting with Trados Studio 2015. The 1-day Beginners Course takes place on April 5th and the 1-day Advanced Course takes place on April 22nd. Register now as places are limited! For more information on all our spring courses, please click here. And don’t forget our Applied English and Interpreting Summer School! Members of Centre for Translation & Interpreting Studies Scotland (Jemina Napier and Robert Skinner) are working in collaboration with researchers from the Social Research with Deaf People (SORD) group at the University of Manchester (Alys Young and Rosemary Oram) on an 18-month interdisciplinary project funded through the Arts & Humanities Research Council (AHRC) Translating Cultures Research Innovation Grant. Dr Noel O’Connell was originally a member of the research team, but returned to Ireland at the end of 2015, so Robert joined the team. The project team members are interested in exploring real-life experiences of Deaf BSL users who use sign language interpreters and for whom this may be an everyday experience. Although there has been substantive previous research about sign language interpreting there has been little about the perspectives of Deaf people themselves and none that has really asked what the impact might be on a Deaf person of ‘being translated’, or only known through translation. When Deaf people interact with hearing people through interpreters do they think that the hearing person can really see them for who they are? Does the Deaf person feel they get the attention they deserve or are people just fascinated by the interpreter? Does the use of interpreters in everyday life impact on a Deaf person’s positive mental well being? What is it like to be a Deaf professional and use interpreters? Are they regarded for their skills and treated equally? These are the kinds of issues we mean by ‘impact’. In collaboration with Action Deafness (Leicester) and Deaf Connections (Glasgow), to date we have interviewed 28 people and collected over 15 hours of data through telephone interviews, face-to-face interviews and focus groups and a community participatory group with Deaf community members, Deaf professionals, sign language interpreters, parents with deaf children, and hearing people that work with Deaf colleagues. Our preliminary analysis is revealing some interesting findings and confirming that the process of being perceived only through interpreters is an issue that all stakeholders have something to say about! We have also been working with a Stakeholder Advisory Group, and have held two meetings in Scotland with representatives from the British Deaf Association (Scotland), the Scottish Association of Sign Language Interpreters, National Deaf Children Society (Scotland), Action on Hearing Loss (Scotland), Deaf Action (Edinburgh) and Deaf Connections (Glasgow). The Advisory Group has given the research team guidance on the research method, data collection, recruitment of participants and also about potential implications of the research. At the moment we are in the final stages of data collection, where we are filming deaf people in real situations with interpreters and then conducting a ‘think aloud protocol’ (TAP) with the deaf people afterwards, where they watch the video and comment on any issues they see in relation to the experience of interacting with people through an interpreter. The use of TAPs is a new methodology that we are testing out in this project, as it has been used before in translation and interpreting studies (see for example Russell & Winston, 2014), but we are trialling the feasibility of TAPs with visual languages. Once all the data is collected and analysed we will be working with the Deaf-led production company AC2.Com Productions to produce a 3-minute video drama in BSL to represent the issues that are identified in the data. This video will be made widely available through our website and entered into Deaf Film Festivals. As the AHRC is keen to support the development of academic skills in young researchers through capacity building (see for example their case study of capacity building in heritage studies), we are pleased to be welcoming young deaf BSL user, Zoe McWhinney, to the team in June for a 2-week internship placement. Zoe is currently doing her undergraduate degree at the University of Birmingham and is an active member of the European Deaf Students Union. Zoe will be involved in supporting the next Stakeholder Advisory Group meeting, developing the script for the video drama and liaising with AC2.Com, and other project tasks. On completion of the project, once all the data analysis is complete we will provide another update, so watch this space!